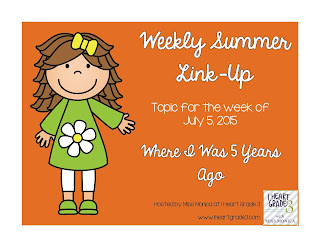 Summer Linky: Where I was 5 years ago - All Things Special Ed. I stumbled across Teachers Are Terrific's Blog and was reading and scrolling and then stumbled upon this fun summer linky party that she was participating in (that already started) from "I Heart Third Grade." 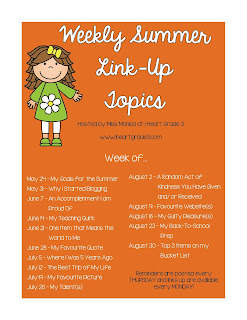 The topic to write about this past week was "Where I was 5 years ago" and thinking about 5 years ago, I knew I wanted to join in! The summer of 2010 was very emotional, I started the process of IVF after having several miscarriages- one being an ectopic pregnancy and being rushed in for emergency surgery. Not only is IVF very expensive (insurance does not cover infertility) but it is like your last hope. In July was when I was going through the retrieval and the implantation of the embryos. IVF was really not that bad (well, I only did it once), it is more the emotional state that really gets you. Then the waiting of 2 weeks to get your blood drawn to know if you are pregnant or you are not (minus the $$$ you just spent!) Well at the very end of July, I found out I was pregnant! Didn't know for sure if we had one or two-- and at our first ultrasound we were told 1 by our RE doctor because he only saw one heartbeat- didn't want us to worry and wanted us to be happy... well fast forward a few weeks later as I am bleeding (yes blood- pregnancy you always think the worst!) and we rush in to see our RE doctor for an ultrasound and he goes, "Good news, you are having twins!" I might have told him to, "Shut the H-e-ll up!" but we were excited none the less! 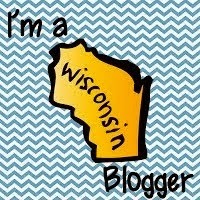 My pregnancy was really great (up until the last month with 12 pounds of babies in me!) I never had morning sickness and I worked up until 38 weeks and had my scheduled c-section due to the boys flipping and one being breech (no sweat on my back- I like to plan and I was terrified to have labor with 2 kids!!). My shower cake- 2 boys and our beagles! So that was me 5 years ago- now my boys just turned four back in March and will be going to 4k in the fall!! Wow is all I can say- where did the time go?? What? Christmas in July?? Grandma's tree was still up! Where were you five years ago? Would love to hear from you.